Organizations are shifting operations from the brick-and-mortar model to virtual platforms. Thus, billing procedures and sharing sensitive information are now conveniently completed through the Internet. Online processes, however, expose organizations to external attacks. As a result, people are forced to develop ways to block any unauthorized access and spam. 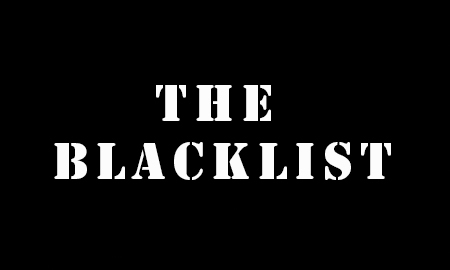 In the computing world, a blacklist relates to mechanisms that control the access to websites. It's simply a list of banned IP addresses of people and companies which have been denied certain privileges after they have not complied with the established web rules. Simple passwords make it "simple" for hackers to access the particular website. They easily compromise its security systems and spread malware in order to reach sensitive information. Password sniffing has become a common occurrence due to the increased use of FTP connections known for their vulnerability. They make it quite easy for Trojans to enter and “sniff” the user’s login information which hackers then use to access the user’s websites and to spread malware. People who visit the “affected” sites expose their personal information and any websites related to them, become vulnerable as well. Although web applications are meant to ease the users’ online experience, they enable hackers to embed malware to websites. If not monitored properly, web applications could turn into a threat. Servers could also expose a particular site to security threats. Most servers on the Internet operate on very simple and vulnerable platforms like the FTP servers. There could also be issues with the configurations and setup of these web servers. Most administrators overlook these issues and fail to install the correct security mechanisms. As a result, hackers easily make their way to the targeted websites. If you want to make sure your website is secure enough against such problems, we could perform a vulnerability test against hack attacks for your future reference. Just sign up for a 30 days free trial!